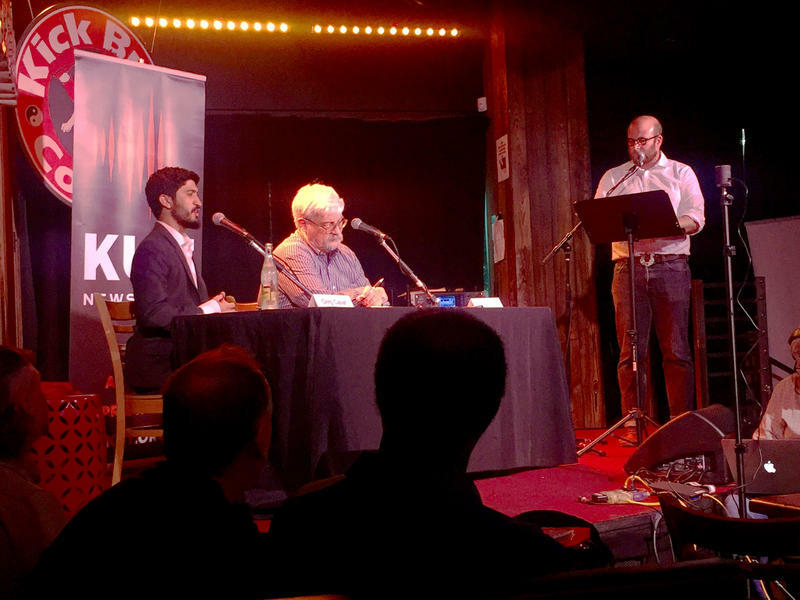 Council candidate and challenger Jimmy Flannigan (left) and incumbent Council Member Don Zimmerman met on September 20, 2016 in an Austin City Council debate hosted by the Austin Monitor, Glass House Policy and KUT. 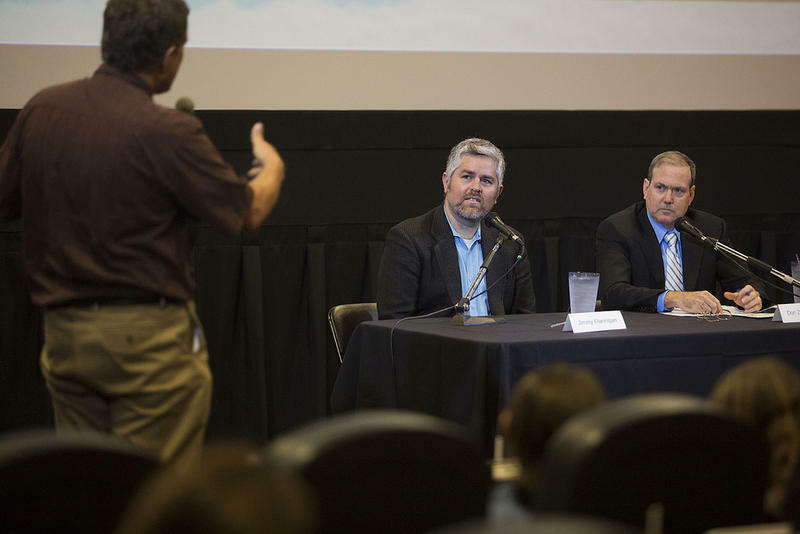 In a repeat match of their neck-and-neck 2014 race, Austin City Council Member Don Zimmerman and challenger Jimmy Flannigan met Tuesday night beneath a giant screen at the Alamo Drafthouse Lakeline. There was no feature on the bill, but that was alright. The two candidates vying for District 6 representative provided ample entertainment. The candidates tackled audience questions about traffic, property taxes and utility services – with the incumbent often falling back on his distrust of city staff. “We need to stop trusting staff blindly and stop voting for whatever they put in front of us,” said Zimmerman, referring to Austin Energy’s controversial wood-burning power plant and how he would have vehemently opposed it. The audience member had asked what each candidate would do to ensure Austin’s place as a forward thinking city on environmental issues. Flannigan stressed conservation, particularly of Balcones Canyonlands Preserve, District 6’s neighbor. “We have to be very careful how we interact with this green space to protect for many generations,” he said. And while it started off with enough civility, the forum quickly derailed into a squabble about the incumbent’s record of making controversial comments and his opponent’s truthfulness. When District 6 resident Linda Elmas asked Zimmerman about his office’s failure to return her email and phone call, he began by stressing the outreach they have done – including opening the only local office among the ten districts. But when Elmas pushed the issue, Zimmerman accused her of advertising for the other side. “Sometimes I think it’s instructive to let my opponent speak because it really shows the type of bullying that happens from the dais,” he said. “I want to apologize for how you’ve been treated tonight,” said Flannigan, looking at Elmas. But it wasn’t long before Zimmerman reloaded. When asked about the $720 million transportation bond headed to voters in November (Zimmerman abstained on this vote, while Flannigan said he would have voted in favor), Flannigan emphasized a point he has been making during this campaign – that it was his advocacy work that got $5.5 million included in that bond for improvements to Anderson Mill Road. “That is a false statement. The reason that there’s money in the bond for Anderson Mill is because I put it there,” he said, adding that the matter would soon be settled since he recently filed a public information request on communication between Flannigan and Mayor Steve Adler’s office about Anderson Mill Road. The two closed the forum by taking familiar stances -- Zimmerman proclaiming the merits of his minority voice on the dais, and Flannigan swiftly attacking his incumbent's record. “What District 6 doesn’t want is wasteful spending by governance by lawsuit,” said Flannigan, nodding at Zimmerman’s litigious relationship with the city. 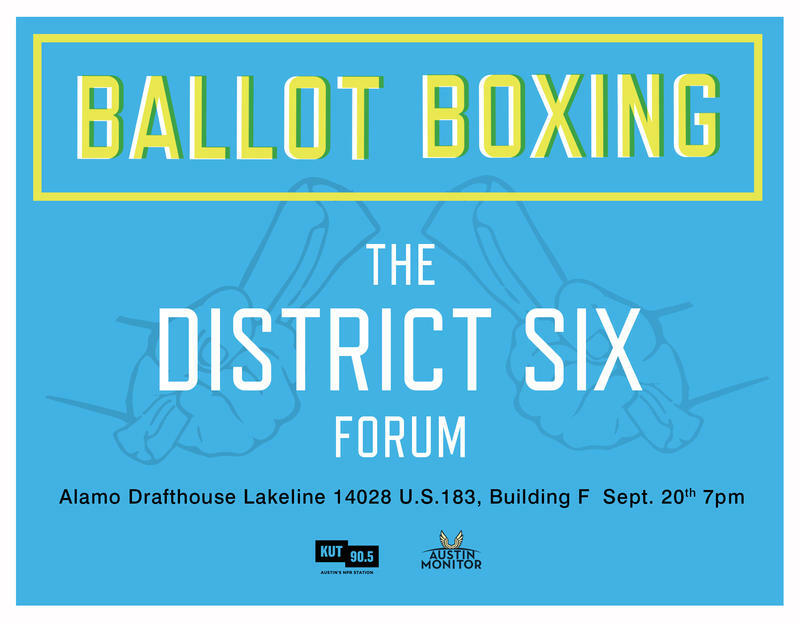 The two will likely face off in other forums before voters decide the District 6 seat on Nov. 8. This story is a part of a reporting partnership with the Austin Monitor.